Lethal Concept and our entire team wishes our visitors, supporters and friends the very happiest new year! 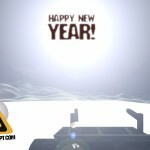 May you find peace, joy and fulfillment in an exciting 2012! You asked us for it, and we delivered! The first official Apokalypsos fansite kit, jam-packed with high quality avatars, flags, logos, icons, wallpapers, posters, concept art and original photoshop files for creating your own art and sites. Download the compressed file HERE and don’t forget to share with us your creations on our official forums! As promised we’ve released four new characters from the world of Apokalypsos, available for your viewing pleasure in our Downloads section! Character bios and info will be available soon. Stay tuned!